A White Bean Quesadilla makes a simple and nutritious lunch— a serving of whole grains, dairy, and protein is the perfect mix of fuel kids and parents need to get through a busy day! It feels weird writing a whole post on the topic of a simple white bean quesadilla but sometimes you have a “win” as Mom that you need to share it with someone other than your toddler who doesn’t understand why you get so excited about food in the first place! And that just so happens to be the reaction of both of my toddlers. Anyhow, back to the white bean quesadilla. So Joey and Anthony cannot get enough grilled cheese. And while I’m a fan of not making oneself crazed in the kitchen and serving your kids things you know they like, I’ve also noticed that if I serve the same thing over and over again, they are more likely to scream for things like grilled cheese vs. trying a turkey sandwich. So what does that have to do with this white bean quesadilla??? This white bean quesadilla is now in our lunchtime rotation along with grilled cheese, hummus and crackers, macaroni and cheese, pizza English muffins, etc. among other things that I serve to the boys at lunch. I try to make sure they do not get the same thing two days in a row [that includes fruits and veggies for sides] and honestly, this push to get them to try new foods has given me a push to actually EAT three meals a day and include more fruits and vegetables in my diet. Funny how something that’s supposed to benefit them has been working for our whole family! Spread beans and cheese on one half of tortilla. Fold tortilla in half. Heat non-stick skillet over medium heat. Warm folded quesadilla until one side is golden brown, about 5-6 minutes. Flip and heat for 5 minutes on the other side. Cut into wedges and serve with salsa or marinara sauce. 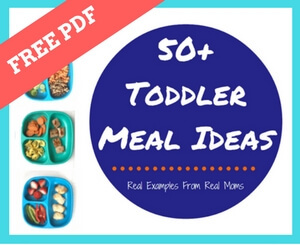 New to toddler feeding habits (which, indeed, are SO picky! ), I love the idea of smashing up the beans and adding them into something Willa already loves. Thanks for the suggestion! Go Willa!! I hope she likes this!